Publisher: Charles H. Kerr, New York, 1902. First English edition. Condition: Hardcover. Very good. Inscription to endpaper. Text clean, binding tight, covers bright. A small book. 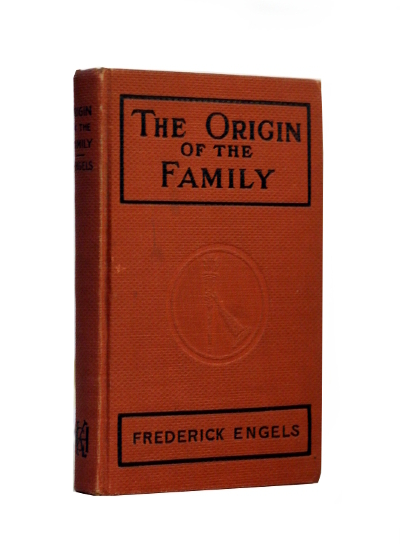 The Origin of the Family, Private Property, and the State: in the Light of the Researches of Lewis H. Morgan is an 1884 historical materialist treatise by Friedrich Engels. 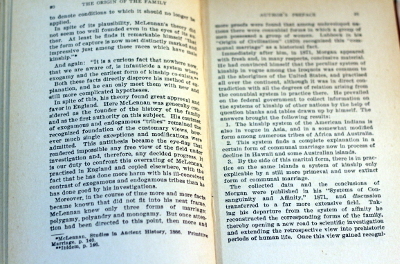 It is partially based on notes by Karl Marx to Lewis H. Morgan’s book Ancient Society (1877). The book is an early anthropological work and is regarded as one of the first major works on family economics. The first English language edition did not appear until 1902, when Charles H. Kerr commissioned Ernest Untermann to produce a translation for the “Standard Socialist Series” of popularly priced pocket editions produced by his Charles H. Kerr & Co. of Chicago. The work was extensively reprinted throughout the 20th and into the 21st Centuries and is regarded as one of Engels’ seminal works. Friedrich Engels (28 November 1820 – 5 August 1895) was a German philosopher, social scientist, journalist, and businessman. He founded Marxist theory together with Karl Marx. In 1845, he published The Condition of the Working Class in England, based on personal observations and research in Manchester. In 1848, he co-authored The Communist Manifesto with Marx, though he also authored and co-authored (primarily with Marx) many other works, and later he supported Marx financially to do research and write Das Kapital. 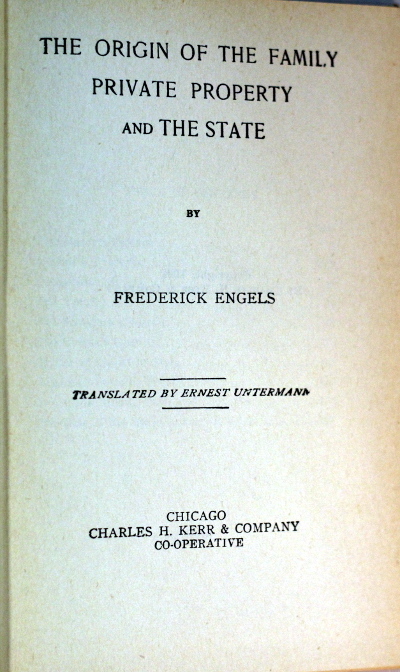 After Marx’s death, Engels edited the second and third volumes. Additionally, Engels organised Marx’s notes on the Theories of Surplus Value, which he later published as the “fourth volume” of Capital. He also made contributions to family economics.